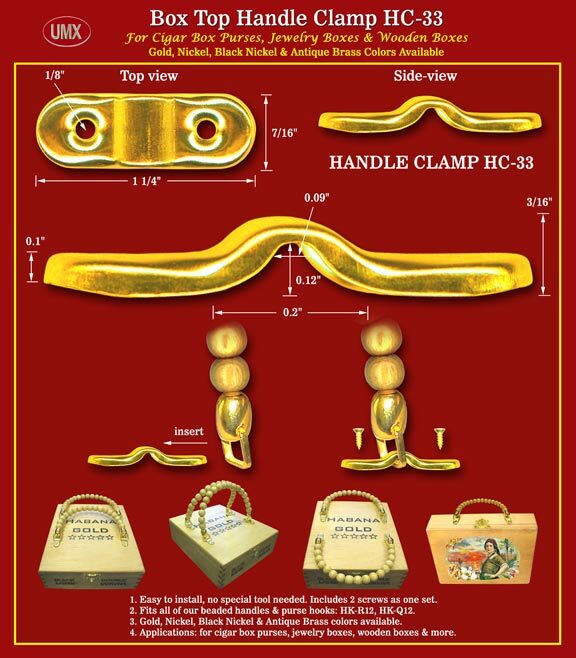 UMX HC-33 Box Top Handle Metal Clamp - Wooden Box Hardware Accessories. The easy way to convert beaded, bamboo or plastic handles to cigar box style handles. For wooden cigar box purses, wood jewelry boxes, wooden boxes etc.